What it’s about: When Edie’s mother receives a letter from Juniper Blythe, it arrives almost fifty years too late. Juniper’s letter is one of a few that got lost in the mail during World War II, and only now have the letters been delivered through a quirk in the postal service. But Edie is surprised to see her mother’s strong reaction when she opens the letter, and even more surprised to learn who Juniper is. Edie discovers that her mother spent part of the war in the countryside, taken into Milderhurst Castle by the three Sisters Blythe. Glimpsing this hidden chapter of her mother’s life, Edie becomes obsessed with learning more about the castle and the sisters, especially when she discovers who their father is—Raymond Blythe, author of the children’s classic The Mud Man, the story that first got Edie interested in writing and set her on the path to becoming an editor. As Edie meets the sisters, she begins to discover secrets long buried, about her mother, the sisters, the castle, and the origins of The Mud Man. About a year ago I picked up Kate Morton’s The Forgotten Garden and found myself lost in a gothic mystery that was both delightful and surprising. I say surprising because I hadn’t expected much from the book—I picked it up at an airport bookstore in an hour of need—so the payoff was all the sweeter. I noticed two books of equal girth that also carried Ms. Morton’s name and mentally filed them away (or added them to my Goodreads queue) for a future read. I’m sorry to say that my second encounter with Ms. Morton left me more than a little disappointed. 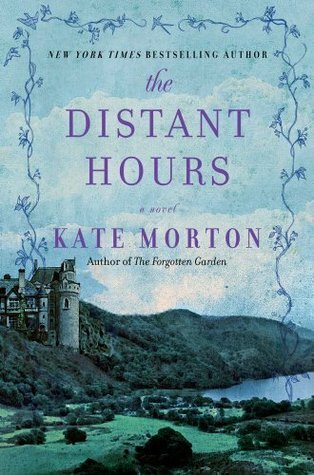 In fact, though The Distant Hours seemed like it would have many of the same characteristics as Morton’s earlier work, they were almost entirely absent from this book. The Distant Hours felt under-crafted and under-thought, with paper-thin characters and a heavy-handed delivery. It’s all the more surprising because I described The Forgotten Garden as finely crafted, with a light touch of symbolism. The Distant Hours is the opposite. Edie is a clunky narrator with no apparent personality and her voice often drew me out of the narrative with references to “what she’d learn later” or things she “wished she could have known then.” She has no personality of her own and her mother’s connection to the castle is never properly exploited. Instead of developing the ostensible main character, the book focuses on the three sisters and Edie becomes just a set of eyes, an outsider stand-in for the reader who does a lot of telling instead of showing. Morton wants to deliver a mystery, to make us wonder about how these three women came to spend their entire lives in a decaying castle. But the “mystery” of it all is laid on so thick that we learn next to nothing about the characters until the final act. By then, I cared little for Saffy and Percy Blythe or the origins of the mysterious Mud Man. These people even edit their own thoughts to keep us from discovering their secrets (which, by the way, are not even that scandalous or surprising). The only one with any semblance of depth was Juniper Blythe, who had some vivacity in her early appearances in the novel as a young girl, but is rendered into a Jane Eyre Bertha-esque specter in Edie’s present-day interactions with her. As Morton keeps us from the secrets, whole chapters end up feeling like treading water. I kept telling myself there’d be some kind of shocking payoff, but there wasn’t. t can hardly believe the same person wrote both these books. Would I recommend? The Distant Hours was a real disappointment to me. I’d certainly recommend The Forgotten Garden (I even consulted some others who had read that book to be sure it was as good as I remembered. I started to doubt myself after reading this one. They assured me I had not lost my mind or taste in books.) But my advice is to skip The Distant Hours. It’s not a good reflection of Ms. Morton’s talent. I’m feeling the same way. Luckily, I read all of Kate’s other books first. Can’t get through this one and happy to see someone else agrees. But not being able to finish it, it has shortened my summer reading. I agree. The distant hours was a terrible and depressing read. I still an not sure what relevance Meredith had to do with the story as a whole. I unfortunately have not read any of Mrs Morton’s other books and probably will not do so. I was Very disappointed.